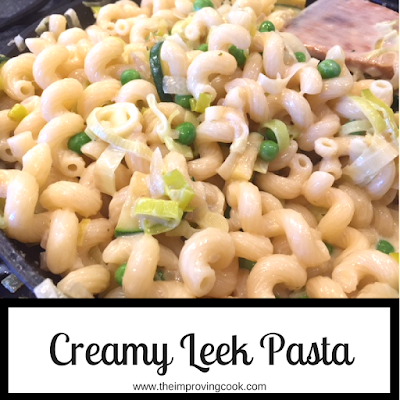 Creamy Leek Pasta- a quick creamy vegetarian pasta dish with leeks, courgettes and peas. 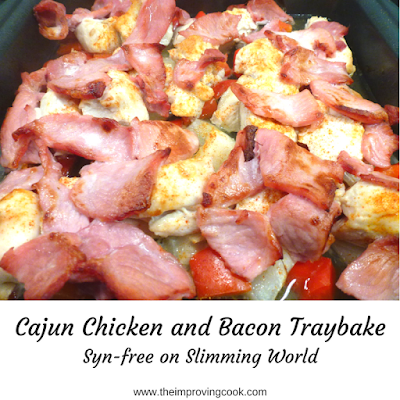 Can be syn-free on Slimming World if you use Quark. Dinner ready in 20 minutes. It's been a while since we had anything new for our Meat Free Monday dinner, so this Vegetarian Creamy Leek Pasta was a real treat. Creamy Leek Pasta is not only creamy and deliciously tasty, but also bright and colourful with green veg amongst the pasta. Pan-fried leeks, and courgettes, plus some peas, give the creamy leek pasta its colour and fresh flavours. If you're fan of other green veg, like spring greens, you could throw that in too. The trick to making sure that the vegetables don't end up as green mush, is to fry the veg for just enough time and to cook the peas briefly so they all have enough bite to them to add interest to the pasta. I like to use spirali pasta because the leeks wind around it and it just looks pretty! You can use whatever you have in the cupboard though. 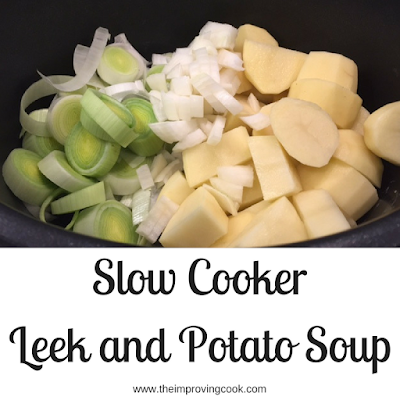 For the creamy sauce to add to the pasta and veg, there's nothing fancy required, just some vegetable stock and light cream cheese and you're done! It really is that quick. 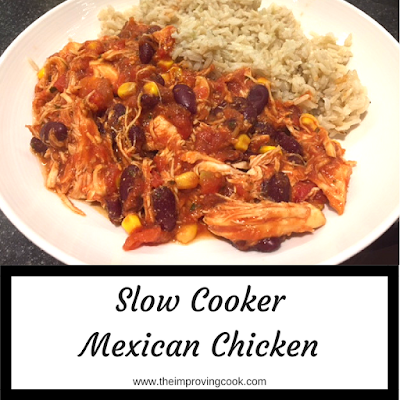 I will be adding it to my quick dinners list without a doubt! 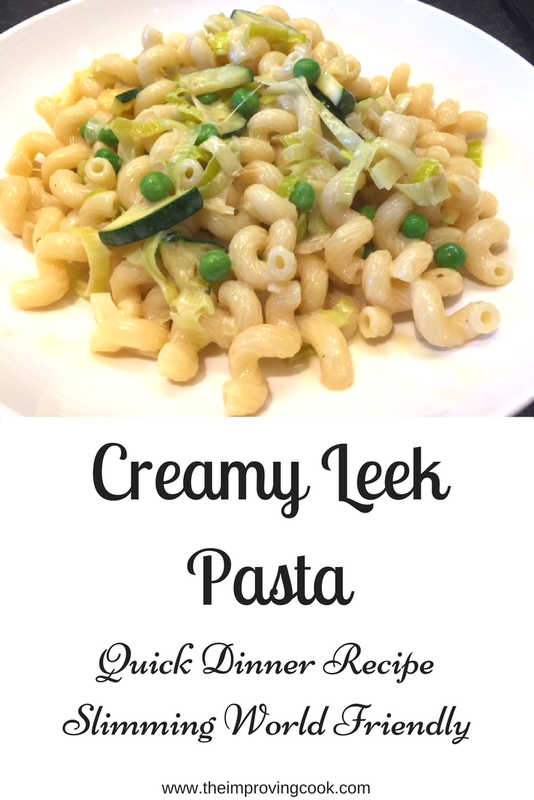 If you are interested in eating something healthy, vegetarian and light on the calories, then a pretty sizeable portion of this creamy leek pasta will set you back 500 calories and it's nice and filling. If you are following Slimming World then this pasta recipe is syn free if you switch the Philadelphia light to Quark and switch the olive oil to spray oil. Printable recipe card at end of post. Mix with the pasta and you're done! Very quick. Creamy Leek Pasta- a quick and easy vegetarian pasta dish. Slimming World Friendly if you switch the Philapdelphia Light to Quark and switch the olive oil for oil spray. 1. Put water on to boil to cook the pasta in a large saucepan. Add pasta when ready. 2. Heat the olive oil in a large frying pan on medium heat. 3. Slice the leeks into 1 cm slices and chop the onion finely. 4. Add the leeks and onion to the frying pan, with the garlic, to soften. 5. Slice the courgette into 2 cm slices and then quarter them. Add to the frying pan to brown a little. 6. When the veg is lightly browned and slightly softened, add the veg stock. 7. Add the peas and leave to simmer for 5 minutes, turning down the heat if necessary. 8. When reduced, add the cream cheese and stir through gently. Season to taste. 9. Drain the pasta and, depending on the size of your pans, either add the drained pasta to the sauce, or add the sauce to the pasta. Stir through until the veg is well-distributed. 10. Serve with some garlic bread and a side salad.